Several days ago I arrived in Bangkok, Thailand to assist with the sheltering of animals affected by severe flooding that has ravaged Bangkok since October. Several organizations including SCAD Bangkok, Elephant Nature Foundation, and Kinship Circle have been working together to care for dogs rescued from the floods. The shelter I am working at is known as the TWP Shelter which is located in a remote area in Bangkok on excess factory land that was donated by the Thai Watana Panich Press Co, LTD. 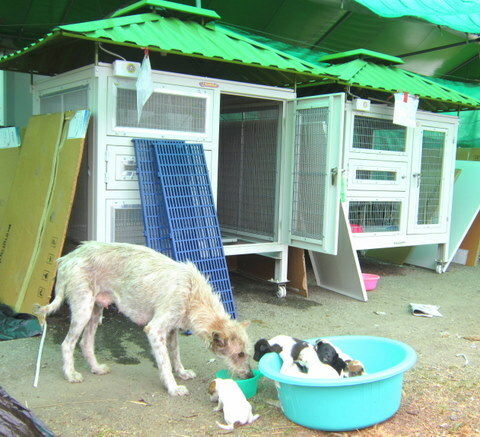 This shelter was erected in early November and originally housed around 200 dogs. My first days in Bangkok were certainly busy to say the least. My days begin around 7am as I meet the rest of my medical team in our guesthouse and walk 10 minutes down a very bustling street in Bangkok. 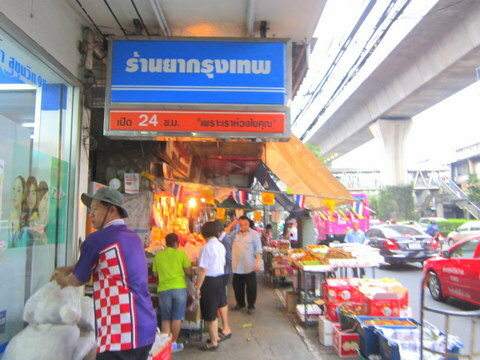 From there we take the BTS Skytrain, Bangkok’s mass transit system, to a meeting point where we meet the shelter manager. When we have more than 4 of us, several members of the team pile in the back of the pickup truck and drive 45 minutes to the shelter. On my first day, I attempted to familiarize myself with the overall shelter layout and protocols. 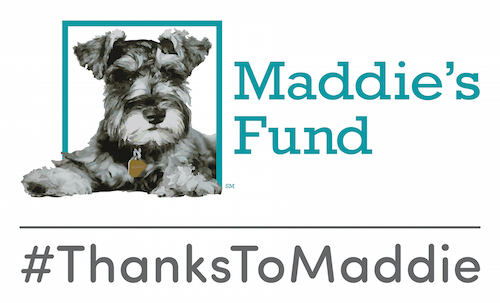 There are approximately 120 dogs on site with about 30 at off-site veterinary clinics. Many of the animals on-site were in need of medical attention due to aliments including severe mange, suspect blood-borne parasites, transmissible venereal tumors, wounds, and fractures. Infectious disease control is a major problem for the shelter. The shelter is constructed entirely out of bamboo and tarps and has no running water or drainage. 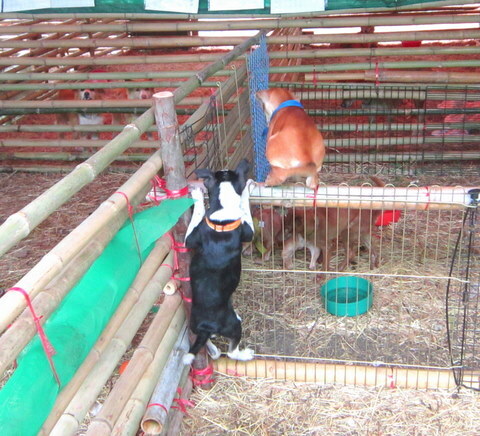 The dogs easily squeeze through or dig under the bamboo leading to the escape of many dogs throughout the day. Puppies are also able to leap from pen to pen. Many free-roaming dogs are also permanent residents of the property, many of whom frequently attempt to walk into treatment and isolation areas. 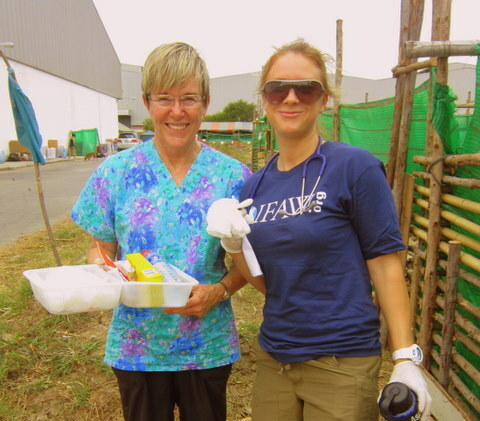 Other important aspects of the shelter that I am attempting to address are major deficiencies in cleaning and disinfection, nutrition (as the dog’s dinners consist mostly of rice), record keeping, and medical treatment protocols. In two days I completed physical examinations on almost all of the dogs on-site, determined appropriate treatments to the best of my ability without appropriate diagnostics, attempted to create a quarantine and isolation areas, and instituted daily medical rounds. 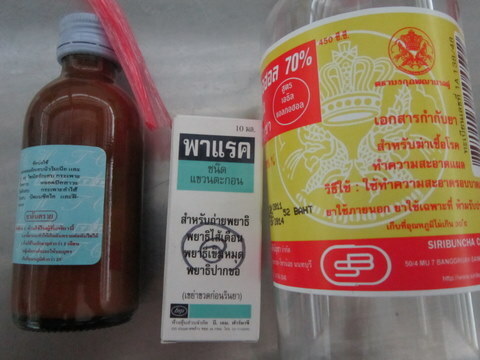 However, much of my first day was spent trying to inventory and determine what medications we had on hand because a significant percentage of them were written entirely in Thai! Well I think that about sums it up for now. Will check in later!